The Tuivai River is a river in India, a tributary of the Barak River, into which it flows at Tipaimukh. It forms part of the boundary between India and Myanmar and part of the boundary between the Indian states of Manipur and Mizoram. ^ Dikshit, K. R.; Dikshit, Jutta K. (2014). 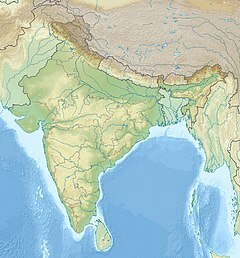 North-East India: Land, People and Economy. Dordrecht: Springer. p. 136. ISBN 978-94-007-7054-6. Retrieved 8 November 2017. This page was last edited on 8 December 2018, at 05:00 (UTC).